The 2016 tennis season has come to an end with 2017 not very far away. This year saw many significant moments in tennis history like Novak Djokovic’s completion of a career slam, Andy Murray becoming the first British player to be World No.1, and Serena Williams breaking Steffi Graf’s record for the highest number of weeks at the top of the rankings for any player, just to name a few. But it also saw the high profile ‘fall’ of Novak Djokovic from No. 1 to No. 2; not really a downfall by anyone’s standards but the Serb’s himself. This year saw the rise and resurgence of many players including Milos Raonic, Juan Martin Del Potro, Caroline Wozniacki, and Svetlana Kuznetsova. However, 2016 also saw the downfall of a number of players who gave a number of promising performances in 2015. Here are a list of five such players. The 6ft 8in tall South African produced a number of promising performances last year that included almost defeating Novak Djokovic in the fourth round of the Wimbledon and beating Andy Murray in the fourth round of the US Open to reach his first Grand Slam quarter-final. 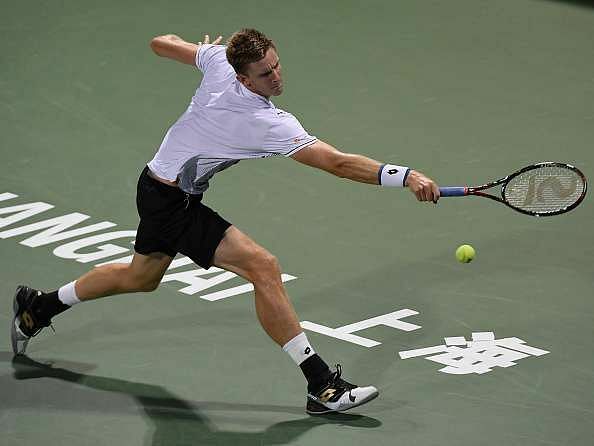 The latter victory resulted in Anderson entering the Top 10 for the very first time in his career, thus becoming the first South African male player since Wayne Ferreira and the first South African tennis player since Amanda Coetzer to be ranked in the Top 10. After a promising 2015, expectations were high for Anderson in 2016. However, he began poorly by retiring hurt in his first round match at the Australian Open due to a shoulder injury. This was his first opening round exit at a Grand Slam since the 2012 US Open His injury struggles continued as he had to retire once again at the Delray Beach Open and a string of poor performances were to follow. Anderson was knocked out in the first round of the Madrid Open before exiting the Rome Masters in the second round. He ended his clay-court season with a first round exit at the French Open. His lackluster performances continued in the grass-court season with an opening round exit at the Queen’s Club Championships which was followed by a quarter-final exit at the Aegon Open where he was the top seed. His woes at Grand Slams continued as he was knocked out in the first round of Wimbledon to Denis Istomin. Anderson’s only positive of the year came in the Rogers Cup where he reached the quarter-finals before losing to Stan Wawrinka. He finally won his first Grand Slam match of the year at the US Open before being knocked out in the third round by eventual quarter-finalist Jo-Wilfried Tsonga. Anderson had a disappointing outing throughout most of the tournaments that followed. This has caused his rankings to fall down to 67th, his worst ranking since 6th September 2010. The 19-year old Swiss was considered a rising talent as a result of some promising performances she put on in 2014 and 2015 that included reaching the quarter-finals of the 2014 US Open and winning the Rogers Cup last year. The former junior Wimbledon champ whose playing style resembled that of Martina Hingis was expected to put on even more brilliant performances this year. After a disappointing opening round exit at the Brisbane International, Bencic reached the semi-finals of the Sydney International before making her first fourth round appearance at the Australian Open where she would lose to Maria Sharapova. A runner-up performance at the St. Petersburg Ladies Trophy caused her to reach the Top 10 for the first time in her career. However, this was followed by a string of poor performances at Dubai, Doha, and Indian Wells. Soon, the youngster had to deal with injuries and as a result, as she had to retire early at the Miami Open and had to miss most of the clay-court season including the French Open. Bencic had a decent start to her grass-court season by reaching the semi-finals of the Ricoh Open. However, injuries plagued her again as she was forced to retire in her opening match of the Aegon Classic and in her second round match at the Wimbledon. Her injury struggles continued as she had to pull out of her title defence at the Rogers Cup and had dismal outings at the Cincinnati Masters and the Connecticut Open which was followed by a third round exit at the US Open. 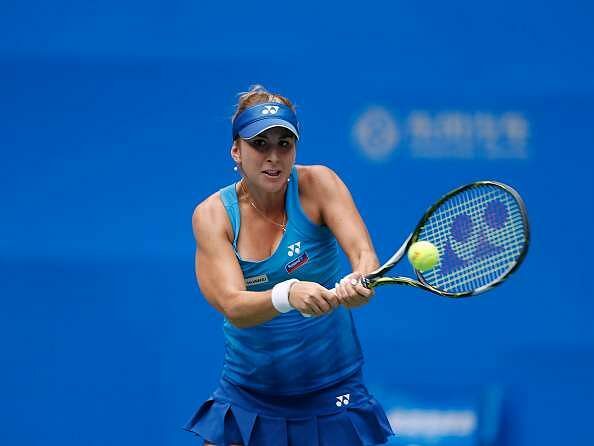 Bencic’s poor form persisted as her performance at the Asian swing was nothing but lackluster. As a result, she dropped down to 43rd in the rankings. The fact that she is only 19, we can expect Bencic to come back strong next year but she would have to work immensely on her fitness in order to do so. The Czech had a memorable 2015 as she reacher her first ever Grand Slam final at the French Open and was in the Top 5 of the WTA rankings for some time which also helped her qualify for the WTA Finals that year. However, towards the latter part of 2015, Safarova had to struggle with a bacterial infection which kept her out for a few weeks and kept her out of the entirety of the Australian Open series at the start of 2016 which dropped her out of the Top 10. She returned to tennis at the Qatar Open but was ousted in the opening round by Turk Cagla Buyukakcay. She ended her hard-court season by second round exits at Indian Wells and Miami; having received a bye to the second round in both tournaments. Safarova finally won her first match of the year at the Prague Open which she eventually went on to win. 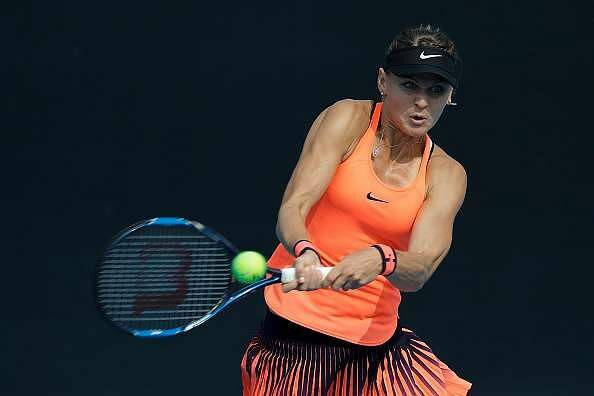 After pulling out of the Madrid Open due to gastrointestinal illness, Safarova lost in the third round of the French Open to eventual semi-finalist Sam Stosur, thus failing to defend her runner-up points from last year, which dropped her down to 26th in the WTA rankings. At the grass-court season, Safarova exited in the first and second rounds of the Aegon Classic and the Eastbourne International respectively before reaching the fourth round of Wimbledon, equaling her best Grand Slam performance since last year’s Wimbledon. A string of poor performances were to follow after the Wimbledon as the second round was the best she could reach in the tournaments that followed and as a result, she will finish 2016 as number 63rd. After winning the French Open in 2008 and subsequently becoming World No.1, the Serb had a dip in form that lasted for quite some time before undergoing a phase of resurgence in 2014 that saw her return to the Top 5 of the WTA rankings. 2015 was a little inconsistent for Ivanovic as she reached her first Grand Slam semi-final since the 2008 French Open but a number of below par performances resulted her descent to number 16th in the WTA rankings. However, a bigger downfall was in store for her in 2016. Ivanovic began the year poorly with first round exits at the Auckland International and the Sydney International before bowing out of the Australian Open in the third round. This was followed by a semi-final appearance at the St. Petersburg Ladies Trophy and a quarter-final appearance at the Dubai Tennis Championships where she beat top seed Simona Halep in the second round. She ended her hard-court season with third round exits at Indian Wells and Miami. She began her clay-court season poorly, exiting the Stuttgart Open in the first round which was followed by consecutive second round exits at the Madrid Open and the Italian Open. At the French Open, Ivanovic failed to defend her semi-final points from last year by exiting in the third round and as a result, she fell out of the Top 20. At the grass-court season, Ivanovic reached the quarter-finals of the Mallorca Open before suffering a shocking first round defeat at Wimbledon to qualifier Ekaterina Alexandrova in straight sets. Her poor form persisted as she suffered three consecutive first round exits at the Rio Olympics, Cincinnati Masters, and the US Open which made her fall out of the Top 50 for the first time in six years. 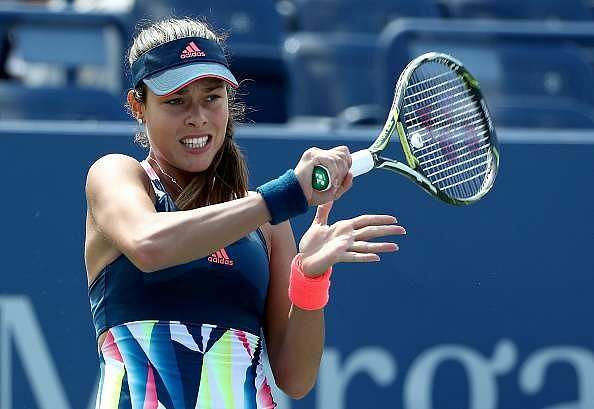 Following the US Open, Ivanovic decided to skip the remainder of the WTA Tour. This isn’t the first time Ivanovic has suffered a downfall and given the fact that she has recovered well earlier from a similar situation, we can all hope to see her rise like a phoenix from the ashes next year around. The Spaniard first came into the limelight in 2003 when he beat Andre Agassi in the opening round of the Rome Masters and rose to fame by the end of 2007 when he beat the likes of Rafael Nadal and Novak Djokovic in the round-robin of the World Tour Finals (then known as the Tennis Masters Cup) and went on to reach the final of the tournament which helped him enter the Top 5 of the ATP rankings. However, during a period between the end of 2008 and the beginning of 2010, Ferrer had a dip in form but then came back strongly and from 2011-2015, he put in some thrilling performances that included reaching his first Grand Slam final at the 2013 French Open and reaching a career-best ranking of World No.3. 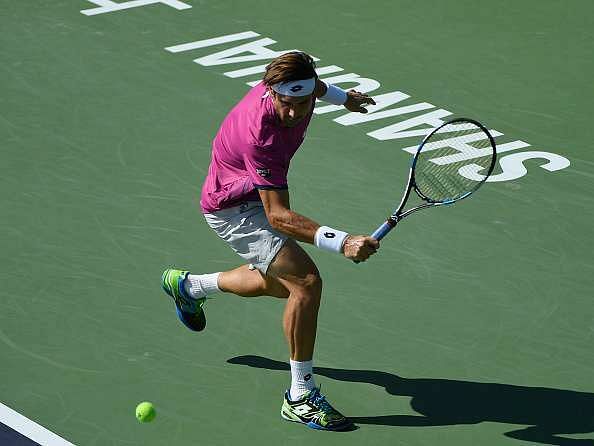 However, Ferrer has had a lot of struggles with his form this year. After reaching the quarter-finals of the Australian Open, Ferrer had a disastrous second round exit at the Miami Open which was followed by consecutive third round exits at Madrid and Rome. After exiting the French Open in the fourth round, Ferrer had a disastrous grass-court season which was followed by a disappointing second round exit at the Rio Olympics. Ferrer’s woes continued as he lost in the opening round of the Cincinnati Masters before exiting the US Open in the third round. Following the US Open, he has had mostly below-par performances which led him fall down to 21st in the rankings, his lowest ranking since July 2009. Like Ivanovic, this is the second time the Spaniard has been through this scenario and like the previous time, we can all expect him to make a remarkable comeback in 2017.